This tour is an ideal way to get an overview of Shanghai’s highlights in a day, with the added bonus of Zhujiajiao Water Town too. Take the stress out of figuring out public transport, by having a convenient hotel pickup and drop-off included. A driver will transport you between dispersed sites such as The Bund, Yu Garden, and Xintiandi. When you’ve worked up an appetite, a tasty lunch is provided. 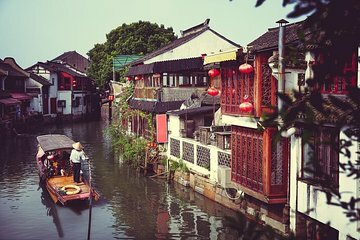 The day ends with a visit to the picturesque Zhujiajiao Water Town, before heading back to your hotel.